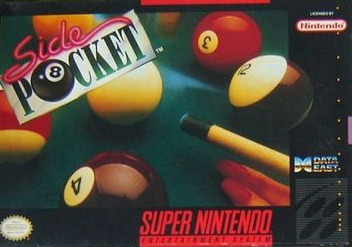 Side Pocket for Super Nintendo allows you to play pool in your own home. If you want to be successful, you'll have to master things like aim, power, and English learning how to use them in combination. You can play 9-ball, straight pool, or even work on your trick shots as you perfect your game and get ready for the big-time challenges.